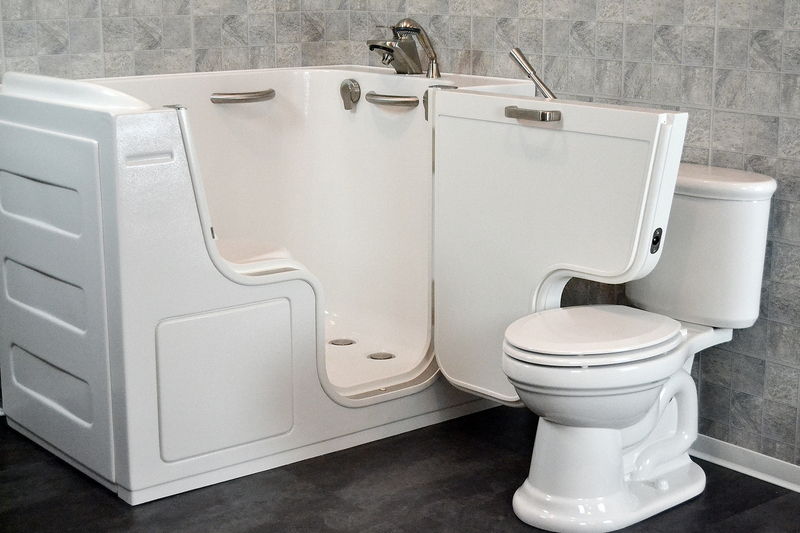 For senior citizens, as well as mobility-challenged, handicapped, and special-needs persons in the Houston area, we offer walk-in tubs from SanSpa. These bathtubs offer a seated, tub-style bathing experience, with most of the body able to be submerged. Entry into the tub is provided by way of an outward-swinging door that has a low, safe threshold. The door will never leak and includes an easy-to-operate latch, so getting in and out are a breeze. Our walk-in tubs are the only product category where we only work with a single vendor, and for good reason. Of all the manufacturers in the marketplace, SanSpa is exceptional in building solid tubs that are reliable and long-lasting, unlike the vast majority of mediocre products in the market. A tub of this sort needs to be able to stand up to continuous wear and tear, and most of the homeowners and seniors we serve feel it’s worth a few dollars more to get a tub that won’t give any trouble. As with our other product offerings, our walk-in tubs are made in the USA and shipped directly to our facility in Houston. We occasionally work with senior care companies and commercial facilities for single or bulk orders of these items. For both commercial and residential inquiries, call us at 832-464-7251 or email info@simplicitybath.com.